Powered by its rear wheels, the 2019 Dodge Charger shuns the front-drive setup of the Honda Accord or Chevrolet Impala, although Dodge does offer an all-wheel-drive option. You won't find any hybrid or small-displacement turbos under the Charger's hood, just V6 and V8 grunt creating a lineup ranging from the 292-horsepower SXT to the 707-horsepower SRT Hellcat. Hellcat. Very fast. Containable. Controllable. Brand new. There are no major problems with my vehicle. It is fresh off the lot with new tires, new engine, new paint, & new interior. The tires are made by Pirelli. The engine is a supercharged hemi with a total of 707 horsepower. The lights are brand new. The technology inside & outside of the vehicle is superb. no problems so far. Comfortable seating. Very spacious. Looks very nice. Has a nice color. Fits a lot of people. Nice radio. Good air conditioning. What&#39;s New for the 2019 Dodge Charger Lineup? 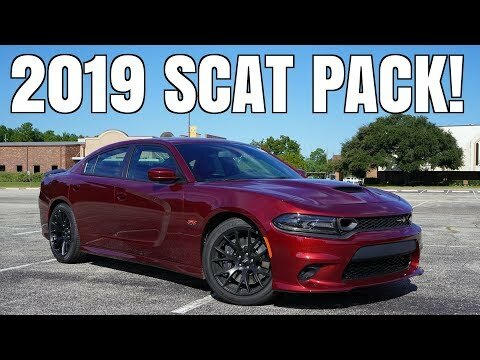 - Refreshed Hellcat, More Features, &amp; New Colors!